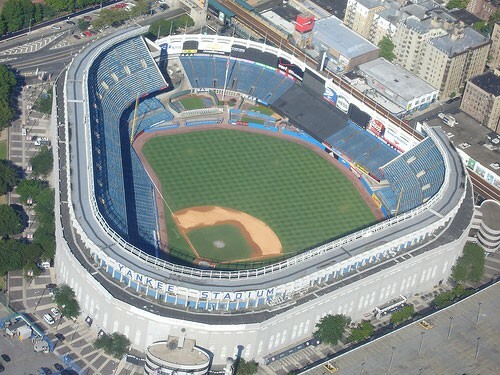 The New York Yankees have proudly claimed Yankee Stadium in the Bronx of New York as their home since 1923. Glory upon glory has shown bright from the likes of Babe Ruth, Lou, Phil, The "Mick".Yogi and our Man "Joltin Joe" all whom dug a few spike bites of dirt at The Stadium in the Bronx of New York New York. Mark your new 2008 calendar make a mental note and above all do not forget ---- THE 2008 SEASON MARKS THE LAST TIME THE YANKEES FACE DOWN ALL CHALLENGERS IN "OLD YANKEE STADIUM." Now is the time to plan a visit to New York and the Bronx cherished historic home of "Those Damn Yankees" for the new ball ground of the Yankees will be readied for the start of the 2009 season. The Yankees, in their pinstripes, proved to the world that pride and teamwork could build a dynasty for all the rest of baseball to emulate. Stories, legends, myths and a following of fans second to none, in the annals of sports, baseball in particular, has not been matched as of this day. The New York Yankees, to many people's shocking surprise, did not start their meteoric rise to fame and being endeared to its worldwide following of fans in "The city that never sleeps," New York. In 1902, some New York investors bought what was left of a Baltimore Orioles team which had basically been ripped apart by players being sold to other teams. A group of investors from New York, buying what was left of the Baltimore team, had in reality bought an "Orphan Team." This is one of the most ironic twists in all of history. 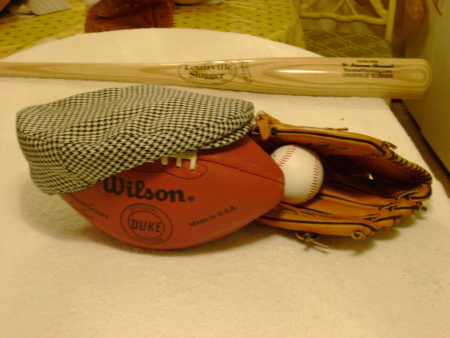 A group of investors of New York bought what could be cosidered an orphan team of Baltimore. From the city of Baltimore came a boy raised in an orphanage, who made New York and the Yankees the greatest name in all of baseball. From an orphanage in Baltimore came Babe Ruth, the greatest name to ever play the game. A team in Baltimore, being orphaned by the total breakup of the Oriole team, gave birth to a new American League team, the Yankees. It is fitting that the Babe, joining the Yankees in 1920, allowing a man (who was an orphan) to join a team (that was orphaned) making happen the greatest baseball dynasty ever witnessed in our time. Together Babe Ruth and the New York Yankees reached the very pinnacle of success and fame making both the "Babe" and the "Yankees" known throughout the world. Our fabled New York "Yankees" began their journey through the pages of baseball history from Oriole Park in the city of Baltimore. Upon coming to New York the Yankees began play, by moving to a hastily constructed park on a hilltop, in upper Manhattan. This baseball site for the New York Yankees was called "Hilltop Park" and the team was originally referred to as the "Highlanders." Hilltop Park was located near the Polo Grounds, home of the New York Giants of the National League. The new American League team coming to New York from Baltimore set the stage for much history of the game and the rivalry between the Giants and Yankees are stories for the ages. The inaugural game at Hilltop Park saw the Highlanders playing the Washington Senators and the New York team prevailed by a score of 6-2. The New York Yankees played at Hilltop Park from 1903 till 1913. The Yankees shared their Hilltop Park with the Giants when the Polo Grounds burned shortly before the season began in 1911. The Giants only needed to stay for two months, while the Polo Grounds could be rebuilt. As fate plays its game, in 1913 the New York Yankees were to share the Polo Grounds with the Giants from 1913 till the 1923 season. The move was caused by the lease having expired on Hilltop Park. In 1923 the owner and manager of the Giants, John McGraw, forced the Yankees to relocate by not extending them a lease at the Polo Grounds. McGraw had hoped the Yankees would relocate outta sight and faraway. Aha, the Yankees located just across the Harlem River from the Polo Grounds. This sharing of the Polo Grounds with those New York Giants again is a strange twist of fate. Historic meetings through the years between the Giants and New York Yankees in World Series, head to head combat, is also legendary. 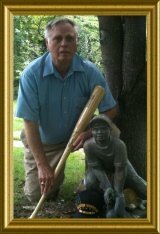 No writer in his most fondest dream could have imagined or have ever penned a story for history to unfold with such poignant and seemingly fairy tale or euphoric heights as acclaimed by the Yankees. 2008 and to start the 2009 season brings Mark Teixeira for $180 million to the Yankees. Historical Events:It just seems as if destiny ordained that the Yankees should reign as the greatest team to ever suit up, put on those pinstripes, lace on the baseball spikes and play with pride and dignity. Site Sell and SBI! is available for all even in the proper language. Project Manager: Tishman Construction/International Facilities Group, LLC.